You will Enjoy Your Stay at this Clean and Spacious Place! Modern, Comfortable, Clean, Kids Friendly private MIL Apartment in a Beautiful and Safe Neighborhood. Its a 1300 sq ft on one level that comfortably accommodates 8 guests (6 adults and 2 kids) in 2 bedrooms with 1 king bed, 1 queen bed and a full size hide a bed couch, plus toddler bed and Pack 'n Play for an infant guest. Convenient combination deadbolt entry lock for easy 24/7 check-in and security. Guest access: Entire guesthouse is private and your home away from home, including fully stocked open kitchen, dining and living space, 1 full bathroom, laundry room, and built-in sauna. All linens provided, washer and dryer available for use, as well as a hairdryer, ironing board, and iron. We also provide washer detergent, dish soap, shampoo, soap, and body wash, coffee maker, electric teapot, wine bottle opener, and much more, so you don't have to worry about anything during your stay. Apartment is also equipped with nice built-in Sauna and Ping pong table. We like to give guests their privacy, but if you need anything please do not hesatite to call us- we're next door to assist. We'll be happy to offer up recommendations for activities, shopping, and restaurants. The property is located in South Anchorage, Ocean view area in a Beautiful and Safe Neighborhood. It’s a 1300 sq. ft on one level with open floor plan, in floor heating, well insulated and sound proofed. Bathroom includes Japanese toilet with heated sit and bidet. Tiled shower and built in cedar sauna as well as ping pong table. Laundry is equipped with full size washer and dryer. Bathroom includes Tiled shower, Japanese toilet with heated sit and bidet. Large driveway. Guests can park two cars! Can fit a camper. Ping pong table on site. Racquets and balls are provided. You are also welcome to use our Tennis Racquets and balls. Tennis courts are in the Ocean View Park, 15 minutes walking from our house. 5 stars for convenience and for helpfulness of owner of this basement apartment. It met our needs. We loved the ping pong table and the bidet and appreciated the fruit basket. It was a great pleasure to host your family during your visit in Anchorage! We appreciated how sparkly clean and organaized you left out place. We are really happy you enjoyed your stay and benefited from our ping pong table and a bidet seat. We will be happy to host your family anytime You are planning a trip to Anchorage! This is a great quiet place to stay, especially for long stays. I highly recommend this place with a family. Lots of room to store your groceries and items you are shipping out. Great location. It was a great pleasure to host your family for a long stay in Anchorage! We appreciated how clean and organaized you left out place. Special thanks for washing all the towels. We are really happy you enjoyed your stay and benefited from our specious apartment. We will be happy to host you anytime Your are planning a trip to Anchorage! This was our second stay. The owners made several upgrades. We’d stay again. That is really awesons, that you could compare our updates from 6 months ago. You and your family are always welcome to stay with us again! The price and location of this apartment were unbeatable! We stayed here 31 days and were very pleased with everything except the cloudy weather! This is a basement apartment with 13 carpeted steps down. There is a full sized refrigerator now which the pictures do not show. There is also a larger dining table and coffee table and the master bedroom has a dresser which the pictures do not reflect. The master bedroom does not have a closet but there is a TV armoire converted to hang things but kid-sized clothes would fit better here. The temperature in the apartment stayed at about 67 degrees which we found to be perfect so we never needed to turn on the heat to see what the “in floor” heating was like. There is a young active family above so there is a little “over the head” noise but not a big deal since we were in Alaska to sightsee and did not spend much time in the apartment during the day. There is a “Clear TV “ antenna but we could only get a few stations to come in and since we could stream off of our DVR at home, we did not try too hard to get it to work. The internet worked well but we needed to sign in several times a day. Parking at the door was wonderful and staying in an apartment is so much better than staying in a cramped hotel room which would have cost much more anyway. This apartment is close to the Turnagain Arm so we saw beluga whales at high tide, moose at Potter Marsh and Dall sheep in the hills above! We would definitely stay here again. The only reason for 4 Star is because the water closet wasn’t clean. Otherwise, our stay was pleasant. Thanks for your review. We appreciate your comments, they help us do our business better. You and your family are always welcome to stay at our place. Stayed here for a week while visiting relatives in the area. The unit was spacious, clean and comfortable in a nice neighborhood close to shopping. We took advantage of a lovely sauna in the unit. We are happy to hear that you enjoyed our place. We would be happy to host you again. 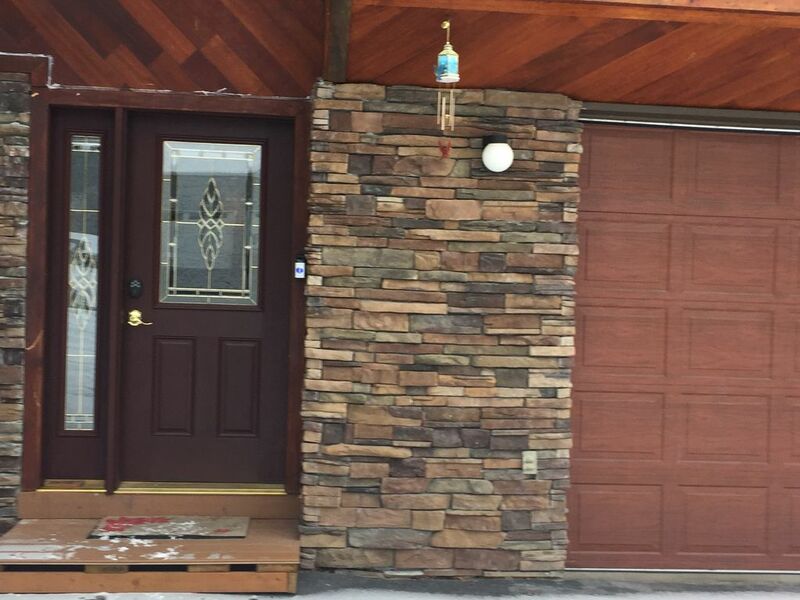 Prestigious South Anchorage locations in great quite ocean view neighborhood and close to Seward highway to start your Alaska adventure. South Anchorage is considered best areas in town. For example, school ratings for our neighborhood are 9/10. Easy Access to Skiing, Hunting, Hiking, Fishing, and Anchorage. Pretty much everything in Anchorage is about 15 min drive.